An American teenager was arrested for masturbating and ejaculating on the hair of several women who traveled by bus, repeatedly. Three years ago he had been arrested for cutting off her hair and put glue. Authorities suspect the man would have done on other occasions during the past three weeks, according to The Oregonian newspaper. "At the time of the first two reports, the victims were not sure what had happened, so it was difficult to determine the seriousness of the offense," said one of the policemen. But that was not the only crime he committed, and in 2010 was sentenced to one year in prison and two parole for a haircut at passing distracted, as well as throwing glue on the head. Weston pleaded guilty and will be tried in June on charges of sexual abuse, harassment, disorderly conduct, public indecency and interfering with public transportation. 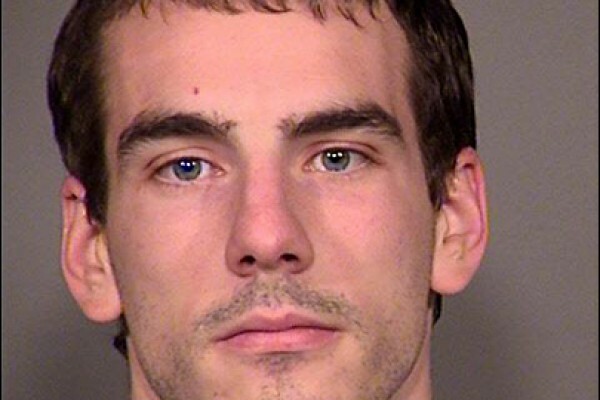 The American Jared Weston Walter, 26, was arrested after ejaculating on the head of a passenger. Authorities suspect the man would have done on other occasions during the past three weeks, according to The Oregonian newspaper. The actress ended with recordings of fiction starring Natalia Oreiro Adrian Suar and to prepare for arrival of their first child, which is due next June. Through Twitter, the actress was happy, took the opportunity to thank his co-shoots and to share with your followers a photo of bouquet of flowers given to her: "Thanks to my fellow # SolamenteVos for the farewell! 'm felizzz pic.twitter.com/M2udkgI1MV ". Cristina Fernandez de Kirchner, president of Argentina, highlighted the achievements of governments defined as "Populists"
Argentina President stressed that "social gains are careful and defend every day, in neighborhoods, on the streets" and that "governments who believe in equality, who believe that everyone should have the same opportunity." He also said that there are great achievements in "populists" and reiterated its request to the courts to "punish the guilty" because, he insisted, "can not be that those who have money or power over judges or prosecutors, obtain advantage." The head of state today twenty minutes devoted his Sunday rest in Rio Gallegos for a review of the activities conducted in the last week as his meeting with former Brazilian President Inacio "Lula" Da Silva, a meeting with victims of crimes in a judicial forum and mayors inauguration of works related to Kirchner. "What a short week! Prior to May. Billiken you remember? On 18 begins the week. Billiken What if. Already said, I'm old," he said in his first tweet today, referring to the traditional children's magazine remembered national holidays. In the last of his posts on the social network of blue bird, enigmatic wrote: "Oh, I do not forget anything of what happened this week. Thanks Nestor, you know that." The president stressed that "social conquests care and defend every day, in neighborhoods, on the streets" and that "governments who believe in equality, who believe that everyone should have the same opportunity." "This is the Argentina that has grown along with the rest of their American brothers. 's Populist government, which they say to us," he said. On the other hand, recalled a meeting on Tuesday at a forum on its draft judicial reform at the University of La Matanza and repeated his claim that justice "with the same rigor rush also against corporations that have devastated the country, which sabotaged ". "We need a more equal justice can not be that those who have money or power over judges or prosecutors, gaining an advantage," he proclaimed. He also called "punish those who are guilty, regardless of their social status, corporate or political". アルゼンチン大統領は "社会的な利益には注意を払っていると路上で、近所で、毎日守る"ことを強調している "平等を信じて、政府は、誰が、誰もが同じ機会を持つべきだと考えています。"彼はまた、 "ポピュリスト"に大きな成果があることを言ったと、彼は主張した、ので、 "有罪を罰する"ために裁判所への要求を繰り返した "裁判官や検察官以上お金や権力を持っている人には、効果を得ることはできません。"
Argentine journalist compares the government of Cristina Fernandez de Kirchner with the military dictatorship of 1976. Through a questionable column published in the newspaper Clarin, Jorge Lanata again compare the dictatorship that led the recently deceased, Jorge Rafael Videla, with the government of Cristina Fernandez de Kirchner. According to the orchestrator of the media show that broadcasts Clarín group, the current government in which he was elected with 54% of the votes, there are "things of the military dictatorship" to "survive in an authoritarian democracy". However, this is not the only thing emerges from the publisher of Lanata: your column contains the phrase under which, not coincidentally, both the Clarin and La Nacion put at the top of this Saturday to portray the death of Videla. "Yesterday died a symbol of the dictatorship of 1976, perhaps the greatest" Lanata drafted in the second paragraph. The same word used La Nacion and Clarin to qualify the genocidal died. "Died Videla, the symbol of dictatorship", identically titled newspapers Clarin and La Nacion. The only textual difference in the two is that the morning of Ernestina Noble included the adjective "military" frase.De down the entire semantic field which could be brought under Jorge Rafael Videla, Lanta, Clarin and La Nacion, chose qualify of "symbol." Videla not the "symbol" is the dictator, is one of the leading makers and executors of the bloodiest dictatorship joint manner could gestate a sector of the business, the church, some political parties and militatres . The former general Jorge Videla not only the reference or the "symbol", but one of the most responsible and ideologues of the arrests, torture and disappearances that arose against pueblo.Además, Lanata column in the newspaper media octopus, also remember that there were links between Videla and Ernestina Noble. Neither had the dictatorship favors for the day that capped state terrorism apocryphal information for those años.De this way, instead of remembering the victims of the atrocities being executed Rafael Videla in power, or to question the complicity of media entrepreneurs who got rich during those years, preferred Lanata comparisons riding a circus to hit the Government unsustainable. According to the orchestrator of the media show that broadcasts Clarín group, the current Government was elected with 54% of the votes, there are "things of the military dictatorship" to "survive in an authoritarian democracy". Something similar ran Friday on his radio show. However, this is not the only feature that protrudes from the publisher Lanata. In addition, your column contains the phrase under which, not coincidentally, both the Clarin as The Nation titled cover this Saturday to portray the death of Videla. "Yesterday died a symbol of the dictatorship of 1976, perhaps the greatest" Lanata drafted in the second paragraph. The same word used La Nacion and Clarin to qualify the genocidal deceased: I tried to "symbol". "Died Videla, the symbol of dictatorship", identically titled newspapers Clarin and La Nacion on Saturday. The only textual difference between the two is that the morning of Ernestina Noble included the adjective "military" at the end of the sentence. Of all the semantic field that could occur under Jorge Rafael Videla, Lanta, Clarin and La Nacion, chose qualify for "symbol". Videla is the "symbol" is the dictator, is one of the main culprits and perpetrators of the bloodiest dictatorship so they could gestate a sector of the business jointly, the church, some political parties and militatres. The former general Jorge Videla not only the reference or the "symbol", but one of the most responsible and ideologues of the arrests, torture and disappearances that arose against the people. In addition, the column in the newspaper Lanata media octopus, also remember that there were links between Videla and Ernestina Noble. Neither had the dictatorship favors for the day that capped state terrorism apocryphal information during those years. Thus, instead of remembering the victims of the atrocities that Rafael Videla executed when he was in power, or to question the complicity of media entrepreneurs who got rich during those years riding a circus preferred Lanata comparisons to hit unsustainable the Government. Argentinske journalist sammenligner regering Cristina Fernandez de Kirchner med militærdiktaturet i 1976. Gennem en tvivlsom kolonne offentliggjort i avisen Clarin, igen Jorge Lanata sammenligne diktatur, der førte den nyligt afdøde, Jorge Rafael Videla, med regeringen i Cristina Fernandez de Kirchner. Ifølge orkestrator af medierne viser, at udsendelser Clarín gruppe, den nuværende regering, hvor han blev valgt med 54% af stemmerne, der er "ting af militærdiktaturet" til "overleve i en autoritær demokrati." Men dette er ikke den eneste, fremgår udgiveren af ​​Lanata: Deres kolonne indeholder sætningen, hvorefter ikke tilfældigt, satte både Clarin og La Nacion i toppen af ​​denne lørdag at skildre død Videla. "I går døde et symbol på diktatur fra 1976, måske den største" Lanata udarbejdet i andet afsnit. Den samme ord, der bruges La Nacion og Clarin at kvalificere folkedrab døde. "Død Videla, symbolet på diktatur", identisk med titlen Aviser Clarin og La Nacion. Den eneste tekstuelle forskel på de to er, om morgenen Ernestina Noble omfattede adjektivet "militære" frase.De ned hele semantiske felt, som kunne bringes under Jorge Rafael Videla, Lanta, Clarin og La Nacion, valgte kvalificere af "symbolet". Videla ikke "symbolet" er den diktator, er en af ​​de førende beslutningstagere og udøvere af de blodigste diktatur fælles måde kunne gestate en sektor af virksomheden, kirken, nogle politiske partier og militatres . Den tidligere general Jorge Videla ikke kun referencen eller "symbolet", men en af ​​de mest ansvarlige og ideologer af anholdelser, tortur og forsvindinger, der opstod mod pueblo.Además, Lanata kolonne i avisen medierne blæksprutte, også huske, at der var forbindelse mellem Videla og Ernestina Noble. Hverken havde diktaturet favoriserer for dagen, at udjævnet statsterrorisme apokryf oplysninger for dem años.De denne måde, i stedet for at huske ofrene for de grusomheder, der henrettede Rafael Videla ved magten, eller at stille spørgsmålstegn medvirken af ​​medierne iværksættere, der fik rig i disse år, foretrukne lanata sammenligninger ridning et cirkus at ramme regeringen uholdbar. Ifølge orkestrator af medierne viser, at udsendelser Clarín gruppe, den nuværende regering blev valgt med 54% af stemmerne, er der "ting af militærdiktaturet" til "overleve i en autoritær demokrati." Noget lignende løb fredag ​​på sin radio show. Men dette er ikke den eneste funktion, der rager frem fra forlaget Lanata. Derudover indeholder din klumme sætningen, hvorefter ikke tilfældigt, både Clarin som The Nation titlen dækker denne lørdag at skildre død Videla. "I går døde et symbol på diktatur fra 1976, måske den største" Lanata udarbejdet i andet afsnit. Den samme ord, der bruges La Nacion og Clarin at kvalificere den folkemorderiske afdøde: Jeg forsøgte at "symbolet". "Død Videla, symbolet på diktatur", identisk med titlen Aviser Clarin og La Nacion på lørdag. Den eneste tekstmæssige forskel mellem de to er, at morgenen Ernestina Noble omfattede adjektivet "militære" i slutningen af ​​sætningen. Af alle de semantiske felt, der kan opstå under Jorge Rafael Videla, Lanta, Clarin og La Nacion, valgte kvalificere sig til "symbolet". Videla er "symbolet" er den diktator, er en af ​​de største syndere og gerningsmændene til den blodigste diktatur, så de kunne gestate en sektor af virksomheden i fællesskab, kirken, nogle politiske partier og militatres. Den tidligere general Jorge Videla ikke kun referencen eller "symbolet", men en af ​​de mest ansvarlige og ideologer af anholdelser, tortur og forsvindinger, der opstod mod folket. Desuden, kolonnen i avisen Lanata media octopus også huske, at der var forbindelse mellem Videla og Ernestina Noble. Hverken havde diktaturet favoriserer for den dag, udjævnede statsterrorisme apokryf oplysninger i disse år. I stedet for at huske ofrene for de grusomheder, der Rafael Videla henrettet, da han var ved magten, eller at stille spørgsmålstegn medvirken af ​​medierne iværksættere, der blev rig i disse år ridning et cirkus foretrukne lanata sammenligninger til at ramme uholdbart regeringen. Diego Maradona (52) arrived in the country and not saved in scandals. At 20.30 am on Tuesday, former footballer arrived at Ezeiza airport from Dubai, accompanied by his girlfriend, Rocio Oliva (22), and after a chaotic press contact, went straight to meet her son Dieguito Fernando, 90 days of his birth, in an anticipated match that lasted 80 minutes. After arriving in Buenos Aires with his girlfriend, Maradona went to meet her fifth child lives Ezeiza where Veronica Ojeda. Broke (his partner was in the car with its custodian) and the meeting lasted for 80 minutes. On board a car driven by his custody, and Rocio Diego moved to fifth district Clover (Ezeiza) where he lives Veronica Ojeda (35) with the baby. But according Ciudad.com could know, the directions, the vehicle stopped at the door, and only got Diego custodian left the vehicle with Oliva. Before entering, Maradona insulted the photographers who were following. An hour and twenty minutes later, the car turned and walked away only Maradona, when the former coach of the team followed with his anger, this time with the journalist Pia AM Shaw, who said he was not going to talk because she had made a note to Veronica Ojeda. Then Maradona night with a dinner followed by Rocío in-laws house in Bella Vista. The drive from Ezeiza to the house was worthy of a movie scene. The car he was traveling in the Ten was followed by a troupe of photographers, which caused his anger. At one point, Maradona stopped the car in the middle of the freeway, got out, and began to insult them by asking them to leave him alone. As if that were not enough, after they threw stones and even threw a kick to a reporter who came to portray. On the way from the airport to the home of his former partner, Diego stopped the car in full freeway, got out and insulted the photographers who were following. Then they threw stones and even threw a kick to a reporter who came to portray. The scandal first came on the plane, when, after landing, a passenger approached Maradona to offer some free samples of a dietary supplement sold, and Diego would have answered with insults, as denounced by the man. I once ashore, Maradona was authorized to live out track and avoid the press. But at the last minute had to change the strategy, since no one wanted to leave his girlfriend, who was not authorized to do that maneuver. At the airport, contact with the press was chaotic, and he and Olive journalists escaped running, amid pushing and struggles: "Walk and put elbows!" Incredibly Maradona asked their custodians. And then, when questioned by the press about whether he would meet his son and if they were to sell the house of his father, he replied: "I have voice, but you know who I'm talking? With my friends. Centre ortivas not speak ". The color data gave a group of Boca fans was there to travel to St. Paul to encourage Boca (plays on Wednesday against Corinthians in the Libertadores Cup), and in the midst of the commotion, began singing for their idol. "Dear Diego, La 12 is with you!" Shouted with elation. Then, Diego replied: "Hold Boca". Upon arriving at Ezeiza, Maradona made no statements. "Walk and put elbows!" Asked his custodians. "With ortivas not speak!" Only answered to the questions of the press. In Intractable added that said: "They are all garbage as Rial and Ventura". Furthermore, Intractable ensured that Maradona launched at a time "are all garbage as Rial and Ventura" although that phrase did not hear in the video that showed the air. Hours before the arrival of his father, had announced in Infama Gianinna Diego had asked her and Dalma accompany him on his first meeting with Fernando Dieguito, to meet together, a situation which then fell through: "He asked us to accompany him to meet Diego Fernando. do not know when. My dad is coming in a bit. know you're going to know, but do not know what day or at what time, do not talk to him yet. What yes we said with Dalma is that we will follow and we'll be the two with him in what he needs. " Maradona arrived. Follow the scandal. Diego Maradona (52) kom til landet og ikke gemt i skandaler. 20.30 tirsdag den tidligere fodboldspiller ankom Ezeiza lufthavnen fra Dubai, ledsaget af sin kæreste, Rocio Oliva (22), og efter en kaotisk pressekontakt, lige til at opfylde hendes søn Dieguito Fernando gik, 90 dage hans fødsel, i en forventet kamp, ​​der varede 80 minutter. Efter ankomsten i Buenos Aires med sin kæreste, gik Maradona for at møde hende femte barn lever Ezeiza, hvor Veronica Ojeda. Broke (hans partner var i bilen med sin depotbank), og mødet varede i 80 minutter. Om bord på et bil drevet af hans varetægt, og Rocio Diego flyttede til femte distrikt Clover (Ezeiza), hvor han bor Veronica Ojeda (35) med baby. Men ifølge Ciudad.com kunne vide, de retninger, vognen standser i døren, og fik kun Diego vogter forlod køretøj med Oliva. Inden du indtaster, fornærmet Maradona de fotografer, der fulgte,. En time og tyve minutter senere, bilen vendte sig om og gik væk kun Maradona, da den tidligere træner for holdet fulgte med sin vrede, denne gang med journalisten Pia AM Shaw, der sagde, han var ikke til at tale, fordi hun havde lavet en note til Veronica Ojeda. Så Maradona aften med en middag efterfulgt af Rocío svigerforældre hus i Bella Vista. Drevet fra Ezeiza til huset var værdig en filmscene. Den bil, han var på rejse i Ten blev efterfulgt af en trup af fotografer, der forårsagede hans vrede. På et tidspunkt stoppede Maradona bilen i midten af ​​motorvejen, kom ud og begyndte at fornærme dem ved at bede dem om at forlade ham alene. Som om det ikke var nok, efter at de kastede sten og kastede selv et spark til en journalist, der kom til at skildre. På vej fra lufthavnen til hjemmet af sin tidligere partner, standsede Diego bilen i fuld motorvejen, kom ud og fornærmet de fotografer, som var følgende. Så de kastede sten og kastede selv et spark til en journalist, der kom til at skildre. Skandalen først kom på flyet, når efter landing, en passager henvendte Maradona til at tilbyde nogle gratis prøver af et diætetisk solgt supplement, og Diego ville have svaret med fornærmelser, som opsagt af manden. Jeg engang i land, blev Maradona bemyndiget til udleve sporet og undgå pressen. Men i sidste øjeblik måttet ændre strategi, da ingen ønskede at forlade sin kæreste, som ikke var bemyndiget til at gøre det manøvre. I lufthavnen, med pressen var kaotisk kontakt, og han og Olive journalister undslap kører, midt skubbe og kæmper: "Gå og lægge albuerne" Incredibly Maradona spurgte deres vogtere. Og så, når udspurgt af pressen om, hvorvidt han ville møde sin søn, og hvis de skulle sælge huset af sin far, svarede han:?. "Jeg har stemme, men du ved, hvem jeg taler med mine venner Centre ortivas ikke tale ". Farven data gav en gruppe af Boca fans var der for at rejse til St. Paul at opmuntre Boca (skuespil på onsdag mod Corinthians i Libertadores Cup) og midt i postyret, synger for deres idol begyndte. "Kære Diego, er La 12 med dig!" Råbte med opstemthed. Derefter Diego svarede: "Hold Boca". Ved ankomsten på Ezeiza, gjorde Maradona ingen udtalelser. "Walk og sætte albuerne!" Spurgte hans vogtere. "Med ortivas ikke tale!" Only svarede på spørgsmål fra pressen. I umedgørlig tilføjede, at sagde: "De er alle skrald som Rial og Ventura". Desuden intraktabel sikret, at Maradona blev lanceret på et tidspunkt, "er alle skrald som Rial og Ventura", selv om denne sætning ikke høre i videoen, der viste luften. Timer før ankomsten af ​​sin far, havde annonceret i Infama Gianinna Diego havde spurgt hende og Dalma ledsage ham på hans første møde med Fernando Dieguito, at mødes, en situation, som derefter faldt igennem "Han bad os om at ledsage ham til at opfylde Diego Fernando. ved ikke hvornår. Min far kommer i en bit. ved, du kommer til at vide, men ved ikke, hvad dag eller på hvilket tidspunkt, ikke tale med ham endnu. Hvad ja vi sagde med Dalma er, at vi vil følge, og vi vil være de to med ham i, hvad han har brug for. " دييجو مارادونا (52) وصلوا إلى البلاد وليس حفظها في الفضائح. في 20.30 صباحا يوم الثلاثاء، وصل لاعب كرة القدم السابق في مطار إيزيزا من دبي، يرافقه صديقته، روكيو أوليفا (22)، وبعد الاتصال الصحافة الفوضى، وذهب مباشرة لتلبية ابنها Dieguito فرناندو، 90 يوما من ولادته، في مباراة المتوقعة التي استمرت 80 دقيقة. بعد وصوله إلى بوينس آيرس مع صديقته، وذهب مارادونا لتلبية طفلها الخامس يعيش إيزيزا حيث فيرونيكا أوجيدا. كسر (وكان شريكه في السيارة مع خادم لها) واستمر الاجتماع لمدة 80 دقيقة. على متن سيارة يقودها عهدته، وروسيو دييغو انتقل الى التجمع الخامس البرسيم (إيزيزا) حيث يقيم فيرونيكا أوجيدا (35) مع الطفل. ولكن وفقا Ciudad.com يمكن أن نعرف، والاتجاهات، وتوقفت السيارة عند الباب، وحصلت فقط دييغو خادم الحرمين ترك السيارة مع أوليفا. قبل الدخول، مارادونا أهان المصورين الذين كانوا يتبعون. وبعد عشرين دقيقة، وتحولت السيارة ساعة ومشى بعيدا مارادونا فقط، عندما اتبعت المدرب السابق للفريق مع غضبه، وهذه المرة مع الصحافي بيا AM شو، الذي قال انه لن الحديث لأنها قدمت مذكرة إلى فيرونيكا أوجيدا. ثم ليلة مارادونا مع عشاء تليها الندي منزل في القوانين في بيلا فيستا. وكان محرك الأقراص من إيزيزا إلى المنزل تستحق مشهد سينمائي. وتبع السيارة التي كان يستقلها في العشر من قبل فرقة من المصورين، مما تسبب غضبه. عند نقطة واحدة، توقف مارادونا السيارة في منتصف الطريق السريع، خرج، وبدأ في إهانة لهم بأن تطلب منهم ترك له وحده. وكأن ذلك لم يكن كافيا، بعد أن ألقوا الحجارة وحتى رمى ضربة لمراسل الذين جاءوا لتصوير. في الطريق من المطار إلى منزل شريكه السابق، توقف دييغو السيارة في الطريق السريع الكامل، خرج وأهان المصورين الذين كانوا يتبعون. ثم ألقوا الحجارة وحتى رمى ضربة لمراسل الذين جاءوا لتصوير. جاء الفضيحة الأولى على متن الطائرة، وعندما، بعد الهبوط، اقترب أحد الركاب مارادونا لتقديم بعض عينات مجانية من المكملات الغذائية التي تباع، وسيكون دييغو قد أجبت مع الشتائم، كما نددت من قبل الرجل. أنا مرة واحدة على الشاطئ، وأذن مارادونا للعيش خارج المسار وتجنب الصحافة. ولكن في اللحظة الاخيرة اضطر إلى تغيير الاستراتيجية، لأنه لا أحد يرغب في ترك صديقته، الذي لم يكن مخولا للقيام بذلك مناورة. في المطار، الاتصال مع كانت الصحافة من الفوضى، وانه والصحفيين الزيتون هرب على التوالي، وسط دفع وتناضل من: "! السير ووضع المرفقين" طلب مارادونا بشكل لا يصدق حراس الخاصة بهم. وبعد ذلك، عندما سئل من قبل الصحافة حول ما اذا كان سيلتقي ابنه واذا كانوا يريدون بيع المنزل من والده، فأجاب:؟ "لدي صوت، ولكن هل تعرف من أنا أتحدث مع أصدقائي مركز ortivas لا يتكلم ". أعطى بيانات اللون كانت مجموعة من المشجعين بوكا هناك للسفر إلى القديس بولس إلى تشجيع بوكا (يلعب يوم الاربعاء ضد كورينثيانز في كأس ليبرتادوريس)، وفي خضم هذه الضجة، بدأت الغناء لمعبودهم. "عزيزي دييغو، ولوس انجليس 12 معك!" صرخ مع الغبطة. ثم أجاب دييغو: "عقد بوكا". لدى وصوله في إيزيزا، أدلى بأي تصريحات مارادونا. "السير ووضع المرفقين!" وردا على سؤال أمناء له. "مع ortivas لا أتكلم!" أجاب فقط على أسئلة الصحافة. في المستعصية وأضاف أن قال: "انهم جميعا القمامة والريال وفينتورا". وعلاوة على ذلك، ضمنت المعقدة التي مارادونا أطلقت في وقت "كلها القمامة والريال وفينتورا" على الرغم من أن تلك العبارة لم يسمع في الفيديو التي أظهرت الهواء. وكان قبل ساعات من وصول والده، كان قد أعلن في Infama Gianinna دييغو سألها ودلما مرافقته في أول لقاء له مع فرناندو Dieguito، للاجتماع معا، وهي حالة ثم سقطت من خلال: "لقد طلب منا أن مرافقته لتلبية دييغو فرناندو. لا أعرف متى. والدي يأتي في قليلا. تعرف وأنت تسير أن تعرف، ولكن لا أعرف أي يوم أو في وقت ما، لا التحدث معه حتى الآن. ما نعم قلنا مع دلما هو أننا سوف متابعة وسنكون اثنين معه في ما يحتاج إليه ". Diego Maradona (52) kamen in dem Land und nicht in Skandale gespeichert. Um 20.30 Uhr am Dienstag, kamen ehemalige Fußballer am Ezeiza Flughafen von Dubai, von seiner Freundin, Rocio Oliva (22) begleitet, und nach einem chaotischen Pressekontakt, ging direkt zu ihrem Sohn Fernando Dieguito gerecht zu werden, von 90 Tagen nach seiner Geburt, in einem erwarteten Match, der 80 Minuten dauerte. Nach der Ankunft in Buenos Aires mit seiner Freundin, ging Maradona zu treffen ihr fünftes Kind lebt Ezeiza wo Veronica Ojeda. Broke (sein Partner war im Auto bei seiner Depotbank) und die Sitzung dauerte 80 Minuten. An Bord ein Auto durch seine Verwahrung und Rocio Diego angetrieben bewegt den fünften Bezirk Clover (Ezeiza), wo er Veronica Ojeda (35) lebt mit dem Baby. Aber nach Ciudad.com wissen konnte, die Richtungen, hielt das Fahrzeug an der Tür, und bekam nur Diego Depotbank verließ das Fahrzeug mit Oliva. Vor dem Betreten, Maradona die Fotografen, die folgten beleidigt. Eine Stunde und zwanzig Minuten später, drehte das Auto und ging nur Maradona, wenn der ehemalige Trainer der Mannschaft mit seiner Wut folgte, diesmal mit der Journalistin Pia AM Shaw, wer er war nicht dabei, sagte zu sprechen, weil sie eine Notiz an Veronica Ojeda gemacht hatte. Dann Maradona Nacht mit einem Abendessen gefolgt von Rocío Schwiegereltern Haus in Bella Vista. Die Fahrt von Ezeiza zum Haus würdig war einer Filmszene. Das Auto, das er in der Ten unterwegs war wurde von einer Truppe von Fotografen, die seine Wut verursacht gefolgt. An einer Stelle gestoppt Maradona das Auto in der Mitte der Autobahn, stieg aus und fing an, sie, indem er sie, ihn in Ruhe zu lassen beleidigen. Als ob das nicht genug wäre, nachdem sie Steine ​​warfen und warf sogar einen Kick zu einem Reporter, der kam zu porträtieren. Auf dem Weg vom Flughafen zum Haus von seinen ehemaligen Partner, hielt Diego das Auto in voller Autobahn, stieg aus und beschimpfte die Fotografen, die folgten. Dann warfen sie Steine ​​und warf sogar einen Kick zu einem Reporter, der kam zu porträtieren. Der Skandal kam zuerst auf der Ebene, wenn, nach der Landung, näherte sich ein Passagier Maradona einige kostenlose Proben von Nahrungsergänzungsmittel verkauft bieten, und Diego würde mit Beleidigungen beantwortet haben, wie von dem Mann denunziert. Ich habe einmal an Land, wurde Maradona ermächtigt zu leben Spur und vermeiden Sie die Presse. Aber in der letzten Minute musste die Strategie zu ändern, denn niemand wollte seine Freundin, die nicht berechtigt war, diese Manöver nicht zu verlassen. Auf dem Flughafen, mit der Presse war chaotisch zu treten, und er und Olive Journalisten entgangen läuft, unter Druck und kämpft: "Gehen Sie und setzen Sie Ellbogen" Unglaublich Maradona fragte ihre Hüter. Und dann, wenn durch die Presse darüber, ob er seinen Sohn zu treffen und, wenn sie das Haus seines Vaters zu verkaufen seien, antwortete er fragte:.? "Ich habe Stimme, aber Sie wissen, wer ich rede mit meinen Freunden Center ortivas nicht sprechen ". Die Farbdaten gab eine Gruppe von Boca-Fans war es nach St. Paul zu reisen, um Boca (spielt am Mittwoch gegen Corinthians im Libertadores Cup) zu fördern, und in der Mitte des Trubels und begann zu singen für ihr Idol. "Lieber Diego, La 12 ist mit dir!" Schrie mit Begeisterung. Dann antwortete Diego: "Hold Boca". Bei der Ankunft in Ezeiza, machte Maradona keine Anweisungen. "Walk und legte Ellbogen!" Fragte seine Hüter. "Mit ortivas nicht sprechen!" Nur auf die Fragen der Presse beantwortet. In Intractable fügte hinzu, dass sagte: "Sie sind alle Müll wie Rial und Ventura". Darüber hinaus gewährleistet Intractable dass Maradona zu einer Zeit ins Leben gerufen "sind alle Müll wie Rial und Ventura", obwohl dieser Ausdruck nicht in dem Video, das die Luft zeigte hören. Stunden vor der Ankunft seines Vaters, hatte in Infama Gianinna Diego angekündigt hatte, fragte sie und Dalma begleiten ihn auf seinem ersten Treffen mit Fernando Dieguito, sich zu treffen, eine Situation, die dann durch fiel: "Er hat uns gebeten, begleiten ihn auf Diego Fernando erfüllen. nicht wissen, wann. Mein Vater ein bisschen kommt. weißt, du wirst wissen, aber nicht wissen, an welchem ​​Tag oder zu welcher Zeit, nicht zu ihm noch zu sprechen. Was yes we sagte Dalma ist, dass wir folgen und wir werden die beiden mit ihm, was er braucht. " Maradona angekommen. Folgen Sie dem Skandal. Diego Maradona (52) mbërriti në vend dhe nuk ruhen në skandale. Në 20.30 am të martën, ish-futbollist mbërriti në aeroportin Ezeiza nga Dubai, i shoqëruar nga e dashura e tij, Rocio Oliva (22), dhe pas një kontakti për shtyp kaotike, shkoi drejt të takohet djalin e saj Dieguito Fernandos, 90 ditët e lindjes së tij, në një ndeshje parashikuar që zgjati 80 minuta. Pas mbërritjes në Buenos Aires me të dashurën e tij, Maradona shkoi për t'u takuar fëmijën e saj të pestë ku jeton Ezeiza Veronica Ojeda. Theu (partneri i tij ishte në makinë me të kujdestarit të saj) dhe Takimi zgjati për 80 minuta. Në bordin e një makinë të drejtuar nga kujdestarinë e tij, dhe Rocio Diego zhvendos në rrethin e pestë Clover (Ezeiza), ku ai jeton Veronica Ojeda (35) me foshnjën. Por sipas Ciudad.com mund të dini, drejtimet, automjeti u ndal në derë, dhe vetëm mori kujdestari Diego lënë automjetin me Oliva. Para se të hyjnë, Maradona fyer fotografët të cilët ishin pas. Një orë dhe njëzet minuta më vonë, u kthye makinë dhe u larguan vetëm Maradonën, kur ish-trajner i ekipit ndjekur me zemërimin e tij, këtë herë me Shaw gazetarin Pia AM, i cili tha se ai nuk ishte duke shkuar për flisni sepse ajo kishte bërë një shënim për Veronica Ojeda. Pastaj natën Maradona me një darkë e ndjekur nga Rocio në ligje shtëpi në Bella Vista. Makinë nga Ezeiza në shtëpi ishte i denjë për një skenë filmi. Makinën me të cilën po udhëtonte në dhjetë u pasua nga një trupë prej fotografëve, e cila shkaktoi zemërimin e tij. Në një moment, Maradona ndaloi makinën në mes të autostradë pa pagesë, doli jashtë dhe filloi të fyesh ato duke i pyetur ata për të lënë atë vetëm. Ndërsa në qoftë se nuk ishin të mjaftueshme, pasi ata hodhën gurë dhe madje hodhi një goditje për një gazetar i cili erdhi për të portretizuar. Në rrugën nga aeroporti në shtëpinë e ish-partnerin e tij, Diego ndaloi makinën në autostradë pa pagesë të plotë, doli jashtë dhe fyer fotografët të cilët ishin pas. Pastaj ata hodhën gurë dhe madje hodhi një goditje për një gazetar i cili erdhi për të portretizuar. Skandali i parë erdhi në aeroplan, kur, pas zbritjes, një pasagjer Maradonën afrohej për të ofruar disa mostrave falas të një shtojce dietetike shitur, dhe Diego do të kishte përgjigjur me fyerje, denoncoi si nga njeriu. Unë një herë në breg, Maradona ishte i autorizuar për të jetuar jashtë gjurmët dhe për të shmangur shtypin. Por në minutën e fundit duhej të ndryshojë strategjinë, sepse askush nuk donte ta linte të dashurën e tij, i cili nuk është i autorizuar për të bërë këtë manovër. Në aeroport, kontaktoni me shtyp ishte kaotike, dhe ai dhe gazetarët Olive arratis drejtimin, mes shtyrje dhe lufton: "Ecni dhe vënë bërrylat" Incredibly Maradona pyeti ruajtësit e tyre. Dhe pastaj, kur janë pyetur nga shtypi në lidhje me nëse ai do të takohet djalin e tij dhe në qoftë se ata ishin për të shitur shtëpinë e atit të tij, ai u përgjigj:. "Unë kam zërin, por ju e dini që unë jam duke folur me miqtë e mi Qendra ortivas nuk flasin ". Të dhënat ngjyra dha një grup i tifozëve Boca ishte atje për të udhëtuar në Shën Palit për të inkurajuar Boca (luan të mërkurën kundër Korintianëve në Kupën Libertadores), dhe në mes të trazirës, ​​filloi të kënduarit për të idhullit të tyre. "I dashur Diego, La 12 është me ty!" Bërtiti me ngazëllim. Pastaj, Diego u përgjigj: "Hold Boca". Pas mbërritjes në Ezeiza, Maradona nuk bënë deklarata. "Ecni dhe vënë bërrylat!" I pyetur Kujdestarit të tij. "Me ortivas nuk flasin!" Vetëm përgjigj pyetjeve të shtypit. Në Intractable shtoi se ka thënë: "Ata janë të gjithë si mbeturina rial dhe Ventura". Për më tepër, Intractable siguroi se Maradona filloi në një kohë "janë të gjitha mbeturinat si rial dhe Ventura", ndonëse kjo frazë nuk e kam dëgjuar në video që tregoi ajrin. Orë para mbërritjes së babait të tij, kishte lajmëruar në Infama Gianinna Diego e kishte pyetur atë dhe Dalma shoqëronte atë në takimin e tij të parë me Fernando Dieguito, të takohen së bashku, një situatë e cila pastaj ra përmes: "Ai na kërkoi që të shoqërojë atë për të përmbushur Diego Fernando. nuk e di se kur. Babai im po vjen në një grimë. e di që ju jeni duke shkuar për të dini, por nuk e di se çfarë ditë ose në çfarë kohe, nuk flasim për atë ende. Çfarë Po ne i thamë me Dalma është se ne do të ndjekim dhe ne do të jetë dy me të në atë që ai ka nevojë. " Diego Maradona (52) in die land aangekom en nie gered in skandale. Om 20.30 uur op Dinsdag, voormalige sokkerspeler aangekom by Ezeiza lughawe van Dubai, vergesel deur sy vriendin, Rocio Oliva (22), en ná 'n chaotiese pers kontak, reguit haar seun Dieguito Fernando te ontmoet, 90 dae van sy geboorte, in 'n verwagte wedstryd wat geduur het 80 minute. Na sy aankoms in Buenos Aires met sy vriendin, Maradona het om te voldoen aan haar vyfde kind woon Ezeiza waar Veronica Ojeda. Gebreek het (sy vennoot was in die motor met sy bewaarder) en die vergadering het vir 80 minute. Aan boord van 'n motor gedryf deur sy bewaring en Rocio Diego verskuif na die vyfde distrik Clover (Ezeiza) waar hy woon Veronica Ojeda (35) met die baba. Maar volgens Ciudad.com kan weet, die voorskrifte, die voertuig gestop by die deur, en het net Diego bewaarder het die voertuig met Oliva. Voor die aanvang, Maradona beledig die fotograwe wat volg. 'N uur en twintig minute later, die motor omgedraai en weggeloop net Maradona, toe die voormalige afrigter van die span het met sy woede, hierdie keer met die joernalis Pia AM Shaw, wat gesê het hy gaan nie praat nie, want sy het 'n aantekening gemaak om Veronica Ojeda. Dan Maradona nag met 'n aandete gevolg deur Rocío in-wette huis in Bella Vista. Die ry van Ezeiza na die huis waardig is van 'n fliek toneel. Die motor wat hy op reis was in die Tien is gevolg deur 'n geselskap van fotograwe, wat veroorsaak het dat sy woede. By een punt, Maradona het gestop om die motor in die middel van die snelweg, het uitgegaan en begin om hulle te beledig deur hulle te vra om hom uit te los. Asof dit nie genoeg was nie, nadat hulle met klippe gegooi en selfs gooi 'n skop op 'n verslaggewer wat gekom het uit te beeld. Op die pad vanaf die lughawe na die huis van sy voormalige vennoot, Diego gestop die motor in volle snelweg, het uitgeklim en beledig die fotograwe wat volg. Daarna het hulle met klippe gegooi en selfs gooi 'n skop op 'n verslaggewer wat gekom het uit te beeld. Die skandaal die eerste keer op die vliegtuig, toe, na die landing, 'n passasier genader Maradona 'n paar gratis monsters van 'n dieet aan te vul verkoop aan te bied, en Diego sou geantwoord het met beledigings, as die kaak gestel deur die man. Ek het een keer aan wal, was Maradona gemagtig is om uit te leef baan en die pers te vermy. Maar op die laaste minuut het die strategie te verander, want niemand wou sy vriendin, wat nie gemagtig is dat maneuver te doen te verlaat. Op die lughawe, kontak met die pers was chaoties, en hy en Olive joernaliste ontsnap hardloop, te midde van stoot en sukkel: "Loop en sit elmboë" Ongelooflik Maradona gevra om hul bewaarders. En dan, wanneer ondervra deur die pers oor of hy sy seun ontmoet en as hulle in die huis van sy vader te verkoop, het hy geantwoord:?. "Ek het stem nie, maar jy weet wat ek praat met my vriende Centre ortivas nie praat nie ". Die kleur data het 'n groep van Boca fans daar was 'n reis na St Paul Boca (speel op Woensdag teen Kor in die Libertadores Cup) aan te moedig, en in die middel van die opstand, begin sing vir hul afgod. "Liewe Diego, La 12 is met jou!" Het gejuig met vreugde. Dan, Diego het geantwoord: "Hou Boca". By aankoms op Ezeiza, Maradona het geen state. "Loop en sit elmboë!" Het sy bewaarders. "Met ortivas nie praat nie!" Net antwoord op die vrae van die pers. In onregeerbaar bygevoeg dat gesê: "Hulle is almal vullis as Rial en Ventura". Verder, onregeerbaar verseker dat Maradona van stapel gestuur op 'n tyd "is al vullis as Rial en Ventura" Hoewel die frase nie gehoor het nie in die video wat gewys het die lug. Uur voor die aankoms van sy vader, in Infama Gianinna Diego aangekondig het haar gevra en Dalma vergesel hom op sy eerste vergadering met Fernando Dieguito, om mekaar te ontmoet, 'n situasie wat dan deur die mat geval: "Hy het gevra om ons te saam met hom Diego Fernando te ontmoet. nie weet wanneer. My pa kom in 'n bietjie weet jy gaan om te weet., maar weet nie watter dag of by watter tyd, praat nie met hom nie. Wat Ja, ons het met Dalma is dat ons sal volg en ons sal wees om die twee saam met hom in wat hy nodig het. " Maradona aangekom. Volg die skandaal. I read this interesting article in the LA TImes and I want you to read it too. Citizen scientists, environmentalists and anyone who lives near a power plant -- your services are requested. Climate change scientist Kevin Robert Gurney needs your help in a grand undertaking: the mapping of all the power plants in the world. It's a big job, and he and the people in his lab cannot do it alone. Gurney, an associate professor at Arizona State University, builds carbon dioxide emission data models that help him and others better understand how carbon moves around the planet and how it effects climate change. To build more accurate models, he needs to know where exactly CO2 is being produced. Of course, CO2 is produced in lots of different ways. Our bodies produce it, our cars produce it, plants produce it. But power plants generate about 40% of the of CO2 emissions sent into Earth’s atmosphere every year. If he knew where those power plants were, how much energy they generate and what fuels they use, he could create significantly more accurate carbon cycle models. Gurney estimates there are as many as 30,000 power plants throughout the world. He had assumed that basic information about these plants -- like exactly where they are located and how much energy they generate -- would be publicly available on some type of international register, but that is not the case. The U.S. keeps excellent data about its power plants -- not just where they are and how much energy they make, but also how much carbon the release into the air. Canada, theEuropean Union and India also keep track of their power plants, but detailed information about power plants in the rest of the world is difficult to come by. Gurney was able to find one database that had a list of power plants worldwide, but the location of each plant was identified by the closest city, which could be 15 miles away. Gurney said he needs to know where a power plant is within one mile in order to improve his models. His lab tried using Google Earth to locate the biggest power plants, but it took his grad students six months to find just 500 plants. "It's like looking for 25,000 needles in a giant haystack," he said. "It cannot be done." After exhausting every possibility he could think of, he came up with the idea of crowd-sourcing the information by asking people to submit information about power plants they may work at or live near. "We thought, there are lots of people around the planet who live near power plants. Maybe they could tell us where the plant is, how much energy it produces, and whether it uses coal, oil or natural gas" he said. "That alone would give us more information than we have now." To make it more fun for people to contribute, the lab turned the project into a bit of a game. Users contribute information about a power plant by pinning it to a Google map. The more information about power plants they contribute, the more points they get. When the project ends in 2014, the winner will be declared the "Supreme Power Plant Emissions GURU!" and will get a trophy. The person will also be named a co-author on a scientific paper that demonstrates the usefulness on crowd-sourcing in scientific research. The project, dubbed Ventus, has its own website that launched Monday morning. By Monday afternoon Gurney said people had logged on from almost every country in the world. "I'm always surprised by how fast this type of thing moves around the planet," he said. In a few weeks his lab plans to launch Spanish- and Chinese-language versions of the site, and he hopes to expand it to other languages. "There are a lot of people who are committed to helping out with climate change," he said. "If we tap into that, we can accomplish a piece of science that we couldn't do otherwise."